Professor Ammar Al-Chalabi is Director of the King’s MND Care and Research Centre and a consultant neurologist at King’s College Hospital. He was awarded the prestigious Sheila Essey Award for ALS Research by the American Academy of Neurology in 2016. He leads a research team focussing on the nature and causes of ALS. He leads the EU-funded STRENGTH consortium aiming to understand ALS subtypes, and co-leads the MNDA and crowd-funded international Project MinE consortium, aiming to find genetic variations that are important in ALS. 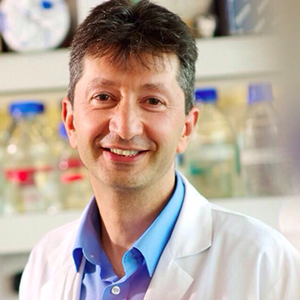 He is Chief Investigator for two clinical trials in ALS and co-leads the UK National MND Register.